"Welcome to Park Holidays UK. 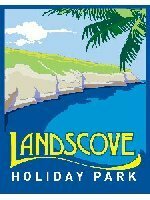 We've a great choice of caravan holiday parks in coastal locations in South Devon "
Landscove Holiday Park is in the most beautiful of locations in a prime position in Brixham, Devon looking out to sea! Fantastic views and great seaside walks abound with the park right on the Devon coastal footpath. The holiday village is the perfect base to explore Devon, with Brixham, Paignton, Torquay and all the English Riviera has to offer just waiting to be discovered. On the park we have some of the best facilities on offer – indoor and outdoor pools and a fantastic entertainment complex with choice of bars and a restaurant featuring an extensive menu. At night you can enjoy some first class entertainment – and you also have the opportunity to have a change of and experience the facilities and entertainment at our other parks in the area, Riviera Bay, Waterside and Dawlish Sands. 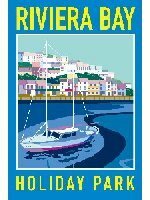 Beautiful setting on the English Riviera Coast...... Riviera Bay Holiday Park is in an idyllic locations on the Berry Head, on the edge of Brixham , at the heart of the famous Devon coastline. This offers some of the most breathtaking coastal views you can imagine, plus great seaside walks abound with the park right on the Devon coastal footpath. The holiday village is the perfect base to explore Devon, with Brixham, Paignton, Torquay and all the English Riviera has to offer close at hand. Further a field there are the historic cities of Exeter and Plymouth and many interesting coastal towns such as Dartmouth and Salcombe for great day trips away. On the park we have facilities second to none – a fantastic indoor pool complex and an extensive entertainment complex. There’s a choice of bars and attractions such as ten pin bowling plus amusement centre, and an excellent restaurant offering something for all the family! 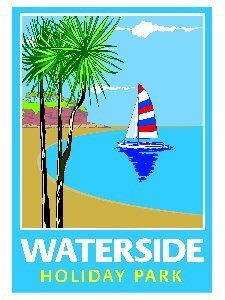 Waterside nestles in a peaceful valley, in the heart of the English Riviera, renowned for its mild climate. Our park is a true beach lover's paradise and a holiday retreat for the family. 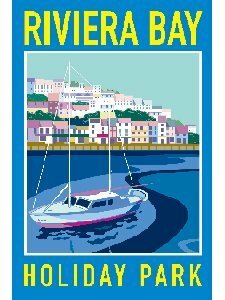 Enjoy clear blue seas, stunning views, the surrounding Devon countryside and the beauty of the Torbay coastline. Our park offers great family fun including cabaret evenings in the Yacht Club, a kids' club, and for eating in or takeaway visit our Smugglers Inn and Restaurant. 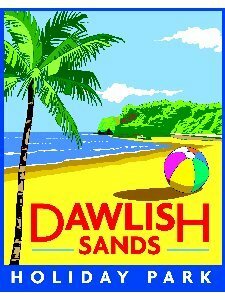 Waterside offers access to 'Saltern Cove' a beautiful and secluded sand and rock enclave, with stunning coastal views. Saltern cove also great snorkelling and diving with its fantastic marine wildlife. Sun, Sea and Sand on the Devon Coast… Just a short walk from Dawlish Warren one of Devon's finest beaches, and surrounded by beautiful countryside, Dawlish Sands is the ideal place for exploring the English Riviera, renowned for its mild climate and sub-tropical plants and gardens. Just relax and soak up the sun as well as enjoying the excellent facilities and great family fun we have on offer in the Sundowners Club. There's also a kid's club to keep the young ones amused with fun and games, and a restaurant for eating in or takeaway - you can be sure of having a fun-packed family holiday at Dawlish Sands Holiday Park. We offer fantastic holiday value – check out our latest holiday offers either on line or call the holiday hotlines today quoting "Beautiful Devon" to check latest availability and best pricing!